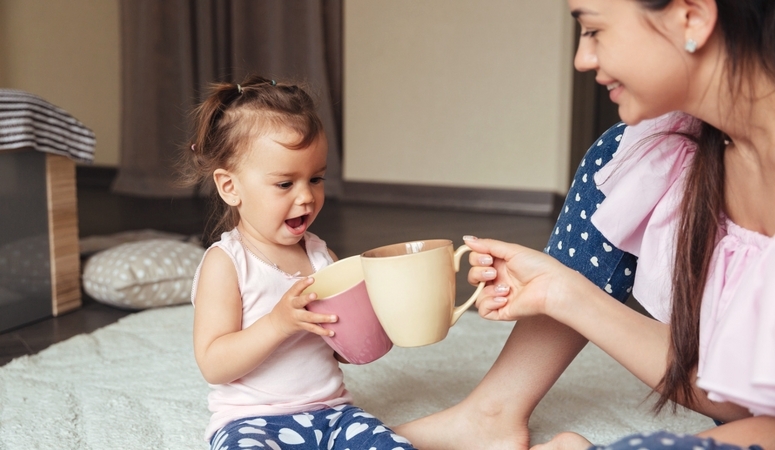 Herbal teas are a great way to gently alleviate those pesky pregnancy side effects and nourish both you and your baby. When using herbs during pregnancy make sure you always do your research and find which herbs are safe during pregnancy, and which are not. 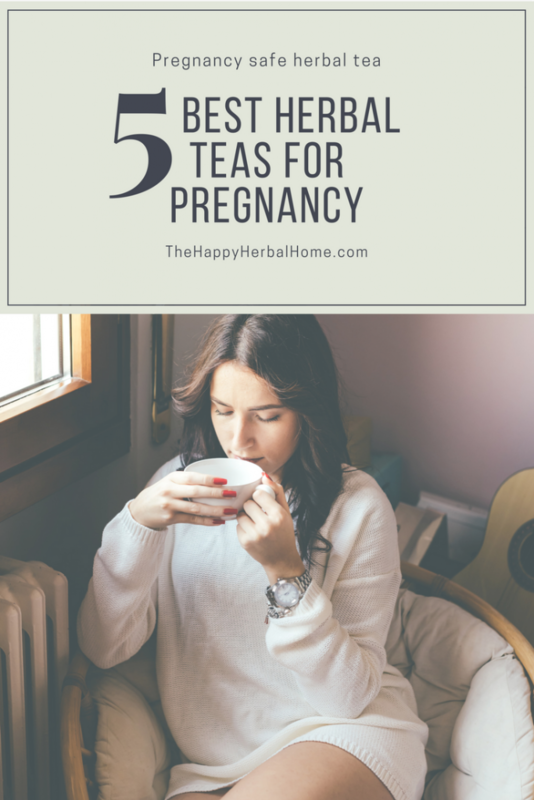 These 5 Teas are the best herbal teas for pregnancy and are considered safe by many herbalists and natural providers. Ginger helps alleviate nausea, including that related to morning sickness. This study even shows that many women had less nausea and vomiting when using ginger vs. a placebo. Ginger is the go-to nausea remedy for many natural households. The easiest way to get a cup of ginger tea is by using dried ginger tea bags. This is a great brand for tea bags, it’s organic and one of the least contaminated sources of prebagged tea. If you’re wanting to use fresh ginger simply grate 1 TBS of ginger into a glass container and pour 12oz of boiling water over it. Let it sit for 10-15 minutes and strain into a coffee mug. You can add honey or lemon to your taste preference. If your looking for a quick and easy fix on the go you can try these ginger candies that have powdered ginger in them. Great to pop in your mouth when you start getting queasy. *Ginger can interact with certain medications. Consult with a qualified MD or herbalist if you are on prescription drugs. Peppermint tea is one of my personal favorites. It eases digestion and bloating after meals and helps relieve nausea. Again, I love the traditional medicinal brand of tea. Red raspberry leaf is one of the best herbal teas for pregnancy. Red raspberry leaf tea has many benefits for the mom-to-be. It’s a great uterine tonic, meaning it helps strengthen and tones your uterus while helping to regulate hormones. Typically it’s recommended to drink 1 cup per day for which ever trimester you’re in. So if you’re in your first trimester drink 1 cup. In your 3rd? Drink 3 cups per day. With all the new changes in your body and the anticipation of a new little one, pregnancy can be both exciting and nerve wrecking. Chamomile is a nervine, meaning that it helps calms the nerves in your body. This helps both your body and mind. What I love about chamomile is that it helps bring on the calm, without making you sleepy. Drink a couple cups of this tea before bed and your sure to have a more restful night sleep. You can get this chamomile tea with lavender in it, for an extra boost of calm. 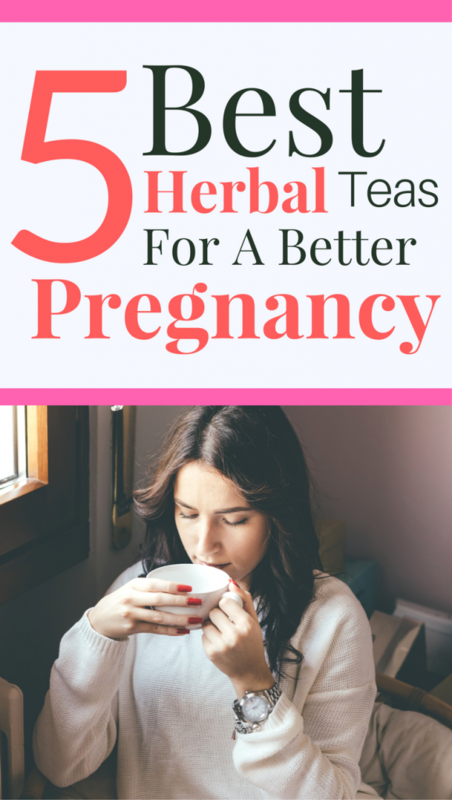 Another one of the best herbal teas for pregnancy is Nettle. Nettle is a super nourishing herb. This is a great supplemental herb to drink to help ensure you and your baby are getting plenty of nutrients. It also helps alleviate water retention, meaning less swelling in your legs. This is a great tea to keep drinking after pregnancy too, as it helps support your breast milk production. 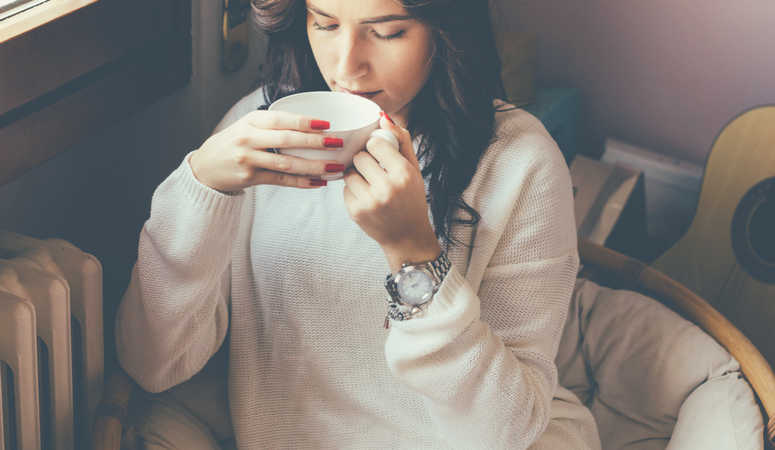 There are cautions not to drink too much of this tea during the first trimester as some women experience cramping, but its considered very safe during the second and third trimester. Also, make sure you are drinking nettle leaf tea, not nettle root. This is a great tea to keep drinking after pregnancy too as it helps support your breast milk production. You can get a box of nettle leaf tea here. When selecting your tea brands, I suggest choosing organic. I recommend Traditional Medicinals. Non-organic can be sprayed with pesticide and who knows if they are cleaned well before being dried. Also, loose leaf may seem intimidating, but it’s a great alternative to tea bags. I only use loose leaf teas now as I hate the thought of how much more expensive tea bags are in the long run. 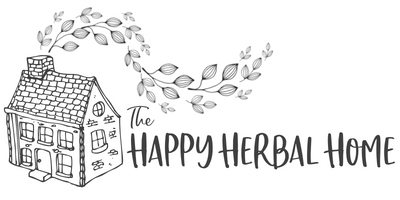 If you are considering using loose leaf herbs bulk herb store has a great selection of loose leaf organic herbs for great prices. 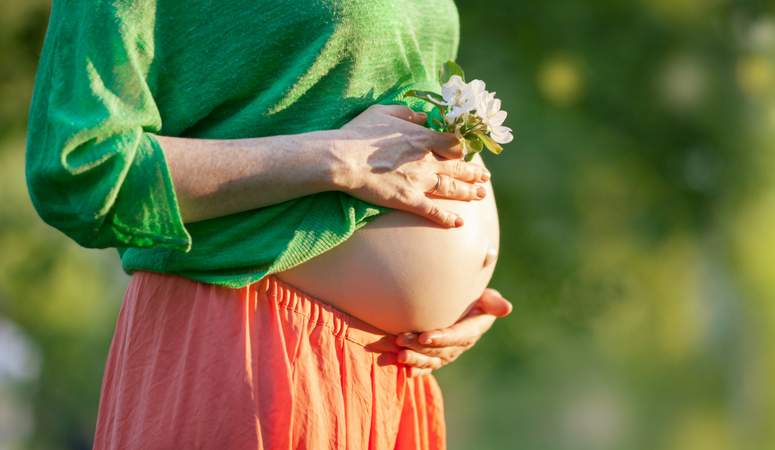 Always consult with your trusted medical provider or midwife before starting any herbal supplementation, especially while pregnant.